Illini Power Products is a family owned and locally managed organization since 1983. 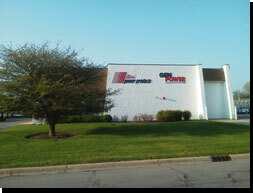 We are committed to providing customer satisfaction in Northern Illinois, Northwestern Indiana, and Southeastern Wisconsin through a dedicated factory-trained support team specializing in engines, generator systems, transfer switches and fuel fired heaters. Our company’s philosophy is commitment to quality customer service. Our modern and efficient building contains 23,500 square feet, including fully computerized offices, training room, parts department, service facility, engine/generator room, and warehouse. Our commitment entails achieving and maintaining the highest standards while looking after the smallest details and going the extra mile for customers. We take pride in our excellent reputation for consistent quality and responsive service. At Illini Power Products, our goal is your complete satisfaction. To this end, our employees are devoted to providing you the best products, services, and training in the Engine & Generator industry. We pledge to you our commitment for customer satisfaction. Our pride shows in everything that we do. We are focused on leading our industry in customer satisfaction with well-trained people, quality products, service and parts. Throughout the years, we’ve maintained a simple and consistent commitment to our customers; we service what we sell and do it better than anyone else. Service means more than promises. You must start with first-rate products and systems. Then you must back them with skills, experience and comprehensive resources. Illini Power Products‘ facility is staffed and equipped to provide quick, expert responses. Our trained staff is ready to answer your questions or give assistance in engineering and installation. You can be certain that when your unit is operating, the installation of the engine or generator is correct and satisfies your specifications. Our experienced staff will assist you with your engine and generator sizing requirements.